Avenue Sign and Post’s standard service area includes most of Snohomish County including Everett, Marysville and Gold Bar. Also included are north King county areas like Kirkland and Bothell. 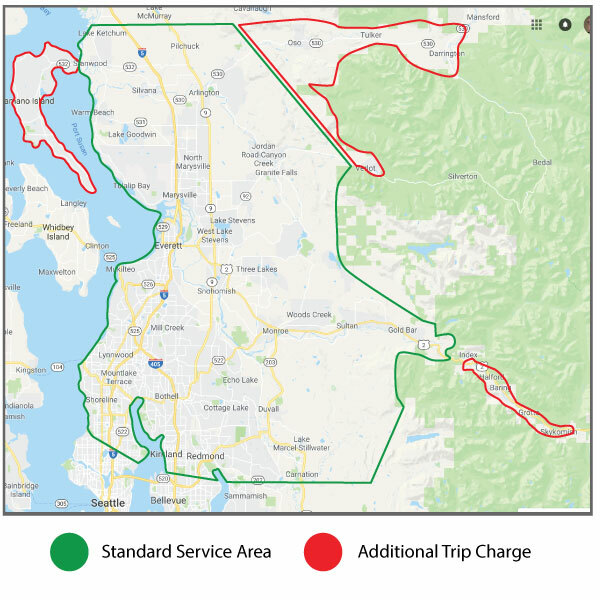 Extended service areas such as Camano Island and Skykomish are covered with a nominal trip charge. Each order includes professional post installation and removal. During your rental period, Avenue Sign and Post will provide service to the sign and post should there become an issue. Be sure to rent a flyer box to store your marketing materials or a rider for your property. Make your process of listing your properties even easier by making arrangement for free sign storage at Avenue Sign and Post! Order Now.